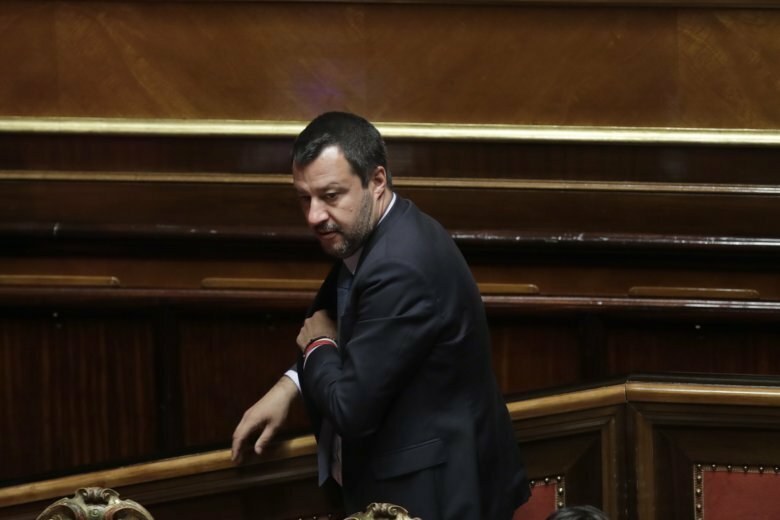 MILAN (AP) — Italy’s Senate refused Wednesday to lift Interior Minister Matteo Salvini’s immunity to face possible charges for refusing to allow migrants aboard an Italian coast guard ship to disembark at a Sicilian port. A judicial commission in Sicily triggered the vote when it rejected prosecutors’ decision not to pursue kidnapping charges against Salvini for refusing to allow 177 migrants to disembark from the Diciotti last August. Salvini, in an emotional defense, said his refusal was aimed at forcing Italy’s European partners to share the burden of migrant arrivals, which has disproportionately fallen on Italy as a primary destination for humanitarian ships rescuing migrants from smugglers’ boats off Libya. Within days of the Diciotti’s arrival in Catania, other European countries stepped forward to accept the migrants. Salvini said his job was to defend Italy’s borders. “I will never be the minister who allows a single person to die in the Mediterranean Sea without lifting a finger,” he said. Salvini has been widely criticized for his policy of not allowing humanitarian rescue boats to make port in Italy. That’s provoked repeated standoffs with other European countries while migrants remain at sea. In the most recent case, an Italian-flagged rescue ship carrying nearly 50 migrants was allowed to make port in Lampedusa and disembark its passengers only after prosecutors ordered it seized.